As the expected snowmageddon didn’t happen last week, the weather attempts to make up for it this week. So come along with us and warm up with some great music. Please vote for us at the European Podcast Award 2012 – voting has been extended to the end of January! 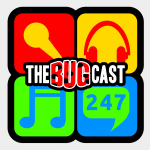 The next show will be episode 247, which will be broadcast live in the chatroom on Friday 25 January 2013 from 21:30 UK time.